With the drafting of the new Agricultural Bill and BREXIT on many farmers minds, it’s not surprising that many farmers may start to think about the future. Over the last couple of weeks, I have seen a number of articles being issued by accountants and land agents encouraging farmers to sit round the kitchen table over the Christmas period to discuss succession planning. On the surface, this seems a great idea…all the family are about, minds are thinking about the year ahead and the weather is driving you off the fields. But before anyone rushes into this, take a moment to think of the issues involved, particularly at this time of the year. Christmas is a stressful time of year for most people. Research by Mind has shown that 11% of people feel unable to cope with Christmas. This stress can come from many places, but one of the biggest is that families are forced together for prolonged periods of time. Issues such as; a lack of privacy, close proximity of people, changes in routine and the constant effort of trying to please all (mixed with a good helping of alcohol) all amount to an environment which is not conducive to dealing with life changing decisions. The second significant challenge is that by bringing people back to the family home and kitchen table, it has a regressive influence on them. Farming families often grow up around the kitchen table, they may all have their place around the table and with this, perceived roles are built. When away from the family home; living in their own homes, they create their own identity. By bringing everyone back to the family’s Christmas table to talk about succession planning, it is likely to create a situation where stress levels are significantly increased, this can subsequently lead to poor decisions and in many situations a backward step along the succession process. Having said this, Christmas is still a good time to initiate ideas and to establish a process for the family to think about succession. Use this time to agree when and where the family will meet to talk about it (not around the family’s kitchen table please). Put the date in the diary for later in the year. This is also a great opportunity to ask the family to think about some of the key questions relevant to them in advance of the first meeting. Questions such as: How do they see the future? What role does the farm and business play in their perception of the future? And what are the things that worry them most about starting these discussions? But remember, Christmas is not the time to have detailed and life defining family meetings. 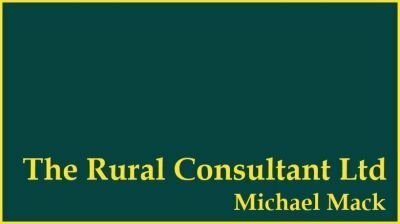 If you would like to have an impartial chat about your farm and family’s succession process, before speaking with your family please feel free to pick up the phone for a no obligation chat.